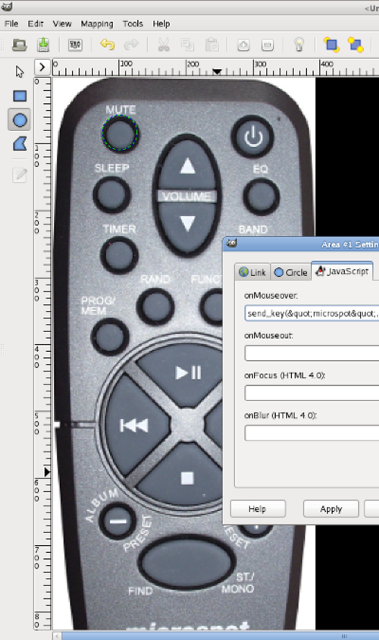 The best is to create first the automatically web page of the remote controller. Then open it in a xml text editor and save it under a different name. This name will then be the name of the new web page. Take a photo of your remote control. The following uses gimp to edit the picture (similar programs should be able to do the same). When editing it is good to have a large picture, when done shrink it to fit on a smart phone screen (height about 500pixels with 72 pixels per inch). In the webpage mark the <svg> to the </svg> tag as xml comment. Then copy at the same place where the svg was the image map file content. 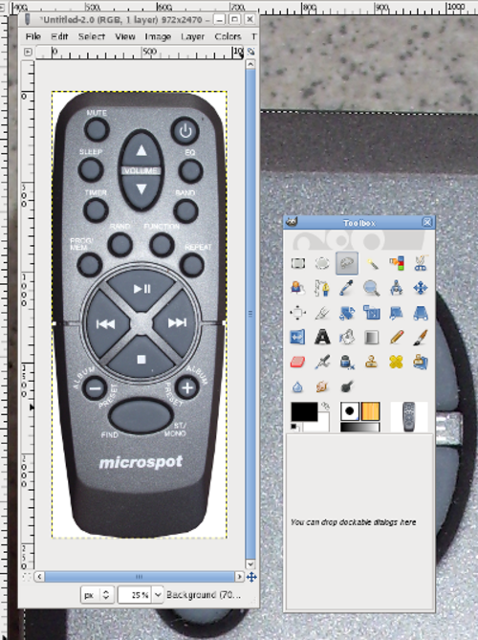 The last check is that you copy the image of the remote controller in the same directory as the web page or adjust the path.